Dr Andy Birtwistle, Reader in Film and Sound, has had a new article published in FKW // Zeitschrift für Geschlechterforschung und visuelle Kultur. Senior Lecturer Dr Magz Hall has been shortlisted for a 2016 British Composer Award. The shortlist of the British Composer Awards spans thirty-three works across eleven categories and thirty-four composers have been shortlisted. The 2016 shortlist highlights how much the UK composing scene engages with science and technology. Magz’s work, Tree Radio at the Yorkshire Sculpture Park, is short listed under the Sonic Art category. The other nominees are Hanna Tuulikki’s SING SIGN: a close duet and Claudia Molitor’s Sonorama. Tree Radio enables a tree to create a micro FM station powered by solar energy, broadcasting an acoustic translation of its reactions to the environment and its own biological processes. A sound and radio artist and senior lecturer at Canterbury Christ Church University, Magz’s audio work has been exhibited at the British Museum, Tate Britain, the Sainsbury Centre, Whitechapel Gallery, V and A, MACBA Barcelona, Denmark, Italy, Germany, Norway, Morocco, Canada and the USA and broadcast internationally. Magz Hall’s blog is here. The British Composer Awards are given by BASCA, the British Academy of Songwriters, Composers and Authors, an independent professional association representing music writers in all genres, along with the Gold Badge Awards and The Ivors. BASCA campaigns in the UK, Europe and throughout the world in order to protect the professional interests of its members. The winners in each category will be announced at the British Film Institute (BFI) on Tuesday 6 December 2016. BBC Radio 3 will broadcast exclusive coverage of the Awards on Hear and Now on Saturday 10 December. Dr Andy Birtwistle has launched the Start Here audio cassette label to bring listeners the finest in magnetic tape-based media archaeological art. The cassettes released on the Start Here label attempt to work with the form and materiality of the cassette tape as a medium, foregrounding and celebrating its unique qualities. Start Here is all about clearing away, stripping back and emptying out, so that these qualities can be perceived and appreciated more clearly. 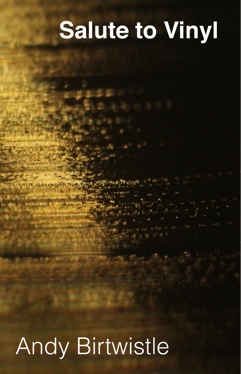 The label’s first release is Salute to Vinyl, which features the surface noise recorded from both sides of a blank long-playing vinyl disc. This sound is generated by physical contact between the turntable stylus and the moving surface of a vinyl record. The continuous sound that results from the friction between these two surfaces is interspersed with intermittent sounds produced when the stylus encounters the damaged wall of a recording groove or particles of dirt. This is the sound of vinyl, brought to you through the medium of magnetic tape. Copies of Salute to Vinyl are available from Chimpsonic and will make ideal summer listening on your Walkman. Andy is Reader in Film and Sound in the School of Media, Art and Design at Canterbury Christ Church University and is the author of Cinesonica: Sounding Film and Video (Manchester University Press, 2010).